How to install OS X on Windows PC without the help of Mac? How to install Mac OS X on Windows PC without the help of Mac? Most of the people in the world have Windows based machine. I also have the same. I am using Windows for about 15 years and I got bored with the same. Then I thought of using Mac but those are pretty expensive out here. So I was thinking if we can install Windows on any custom build hardware then why can’t OS X? Then I searched about it on internet a lot and I do found a way to do same too but problem is that all the guides of installing OS X on PC are done with the help of Mac. So if I had Mac then why would install it on anything other. I have gathered information from various guides and tutorials at internet and prepared an easy and simple method to install OS X on Windows PC without the help of Mac. So follow the guide below if you want to create a hackintosh system. Note: All the processes can even damage your hardware so be careful and do it on your own risk. Installing Mac OS X on other hardware is against company’s policy unless you bought a retail DVD for the same. Before we start installing OS X in your PC you need following stuff without which it is impossible to do so. If you want to install OS X on your PC then you need to have compatible hardware too because this makes the difference in this guide. If you are going to buy a whole new hardware or you want to check whether your hardware is compatible or not then check out this link. It has detailed guide for the same. You need to buy OS X retail DVD and a blank rewriteable CD. As you have the required stuff we will now begin with the guide. First of all you need to create Boot disk or USB Drive which will allow you to install OS X into a DVD or a USB drive directly. 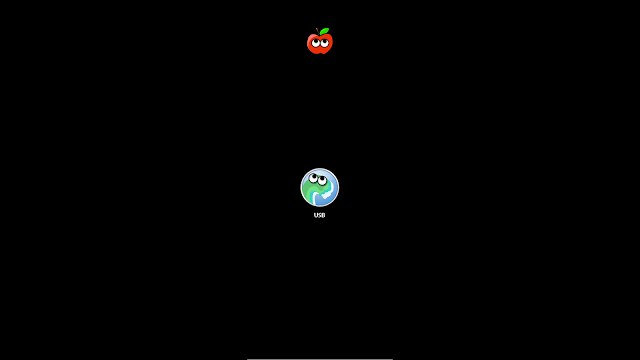 To create the image, use any software available on internet such as the free Unibeast. The Mac program will modify the official OS X installer and then install it on a USB drive. Then you will use the USB drive to run on a PC. 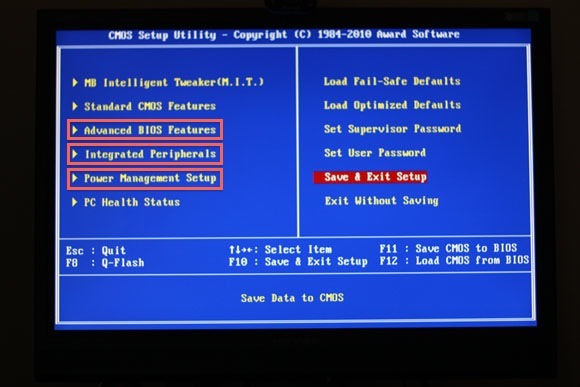 Now you need to configure Bios of your system. Enter the Bios setup of your machine. Now you need to alter setting of three categories as shown in picture below. First head over to Advanced Bios Feature, in that choose first boot option to CDROM. Then in Integrated peripherals, switch the SATA and On-board SATA/IDE Ctrl Mode to AHCI mode. Now in Power management Setup, make HPET mode to 64-Bit. First of all insert the boot USB drive which we created above. As soon as you see this screen, eject the USB drive. Now you can start following instructions and install Mac OS X. If you succeed then language selection option appears. So select the preferred language. Now you we see partition option, click on Utilities then Disk Utility and select your required Drive and click on partition. Give a name to the drive and choose Mac OS Extended as format option. Then you will see “options” click on that and select GUID Partition Table and click on OK.
Now when you will boot your system you will see an error for sure. So insert Boot USB drive which we created above and restart the system. Now you see the option with the same name you gave above. Select that and press enter. 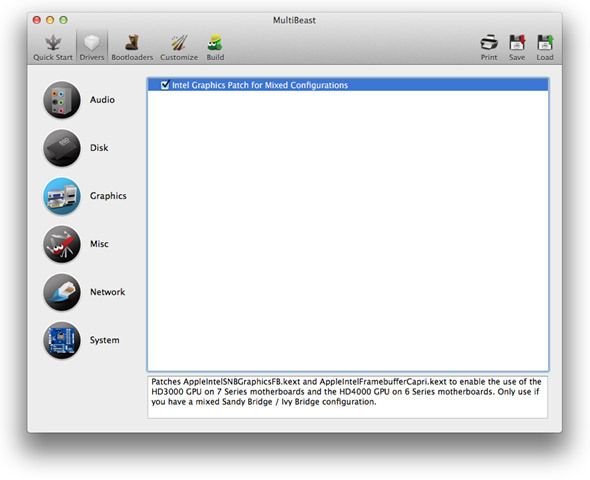 Launch Multibeast and do the required settings. It will be different for each system as you will have different hardware for sure. After the whole process, eject Boot USB drive and restart the system. And it’s done. Now you can enjoy Mac OS X on your Windows PC. So which things you did first after installing Mac OS X. Do tell us in comments below.